David A. Bright, president of the Nautical Research Group has been involved in underwater and shipwreck exploration for thirty-five years. A research scientist with a degree in biology and an advanced degree in physiology from Pennsylvania State University, Mr. Bright is an experienced shipwreck historian and deep technical diver. He has worked in various capacities on more than forty documentaries with such networks as National Geographic, the Discovery Channel, the History Channel, A&E, the Learning Channel, and PBS. His research has also appeared in several thousand publications and news media outlets worldwide, including CNN, The New York Times, The Associated Press, and Reuters. Bright has lectured extensively at universities, libraries, and various prestigious functions on the exploration of ships. He has been a major contributor to many books, newspaper features, and other media-related sources, and his diving exploits have been featured in two recently released books, Collision Course by Alvin Moscow and Dark Descent by Kevin McMurray. David is a member of the prestigious Explorer’s Club, the Marine Technology Society, American Academy of Underwater Sciences, North American Society of Oceanic History, Maritime Archaeological and Historical Society and the Pennsylvania State University Eberly College of Science Alumni Board of Directors. 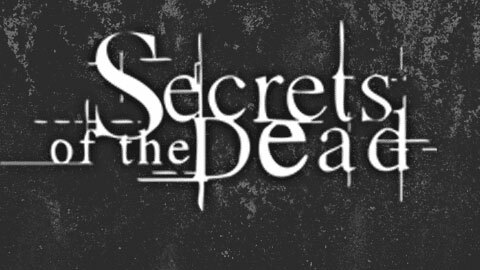 Secrets of the Dead: So, Mr. Bright, how did you first become interested in diving? David A. Bright: I grew up on the Great Lakes — in Niagra Falls, New York — very historic from the standpoint of our American history. I was a member of a competitive swimming team so I felt very good in the water. One of the coaches of my swim team, when I was twelve years old, asked me if I’d be interested in taking a SCUBA diving course. I thought that would be kind of neat. I was the youngest certified at that time as a 13 year old. I proceed to go to the library and look up the old records of where battles and strategic locations along the Canadian and western New York borders were and then I would go dive them, and sure enough at that time — the beginning of the ’70s — diving wasn’t done much up in that area and I was amazed at what I was able to find. So for me the shipwrecks are a time capsule. The things that you read about on paper actually become very vivid. So tell us a little bit about the events leading up to, and the controversy surrounding the wreck. This is what we know for fact. The Andrea Doria had left its home port of Genoa and made three stops along the way — one to Cannes, one to Naples, and one to Gibraltar and began to cross the Atlantic. Conversely the Stockholm had left earlier that day — on the 25th they left their port here in New York and was on its way over to Gutenberg Sweden and the two ships collided approximately 40 miles southwest of Nantucket and about 110 miles east of Montauk in an area known as Times Square because it’s so busy with incoming and outgoing traffic to and from Europe. Normally during July there’s a lot of fog out there at night and sometimes it’s so thick you can hardly see your hand in front of your face. At that time there were established sea lanes but they weren’t necessarily sea lanes that had any legal bite to them. They were actually scooting north of what at that time was the suggested sea lane to cut time, and the Doria was in it’s regular inbound lane. The Doria said the fog was very, very thick; the Stockholm’s young third officer said that there was no fog at all. The Doria had three certified masters or captains at the bridge at the time. As the two ships got closer the Doria was blowing its fog horn, the Stockholm was not. The ships normally have running lights — the port side light is a big red light — the starboard side light is a green light. Part of the testimony is that the Stockholm was also yawing — yawing is not keep a straight course. As it was Carstens-Johannsen’s testimony that he did see the red light or the port light — normally you want to go a port-to-port passage. In reality, according to the Andrea Doria they were almost on a collision course but basically the Doria was a tad up starboard from where Carstens-Johannsen thought the Doria was. Carstens-Johannsen ordered his helm to go the starboard or right side a little more; the Doria at the same time said to go left a little more both thinking that it was opening up the distance between the two. As far as what went wrong that evening obviously there were a lot of little mistakes mad by both the Stockholm and the Andrea Doria. Mistakes that in and of themselves were innocuous but when you add them together they concatenate to cause this big accident. And again there was no ship-to-ship communication and at that time you had to read whistles and read lights and a lot of the machinery was manual. You know a lot about the very specific details of this collision. When and how did you become so interested in the Andrea Doria? When I first started to study this back in the late ’70s I got a fascination for trying to understand what was going on out there. Through doing that and talking with able mariners and those that actually had been doing the preliminary marine forensics case out there I had a better understanding of what went on. There was a book published by a gentleman called Alvin Moscow, Collision Course, that at that time was a number one best seller and it was actually out before the forensics had come out. And basically it really did point a bad picture for the Italians. It said the most fatal error was that final turn to starboard by the Andrea Doria that exposed the ship to the piercing bow of the Stockholm which was essentially a reinforced ice breaking bow (being up there in Sweden you really needed a ship that had a really strong bow.) This book was written in the ’50s and most people had accepted its premise — a naval trained marine engineer whose specialty was to forensically examine maritime accidents wrote an article back in 1959 that basically said this could not have happened the way it’s been portrayed not only in this book but in the media. This got the ball rolling — and many of the professional mariners, especially those involved in education, wanted to have a clear understanding of what this accident meant. This marine engineer’s name was John Carrothers and John was an engineer through and through — he had been on many ocean liners in his day as the chief engineer and he had an impeccable background. But because his personality was at times a little abrasive he had an abrasive relationship with the media. Mainly because he felt COLLISION COURSE was such a travesty to nautical education. He enlisted the work of several of the leading marine institutes in the United States including the United States Merchant Marine Academy. He was able to strike up a relationship with a professor of nautical science and a captain at the United States Merchant Marine Academy, (who had, ironically, a huge Swedish heritage) Robert Meurn, to investigate this with him and sure enough Captain Meurn was able to see very vividly and clearly what went on that evening and recognized that it could not have been the Andrea Doria. What effect did Meurn’s involvement have on Carrother’s investigation? Meurn had actually been out at sea in the vicinity that night and had seen how thick the fog was. He essentially did his own work and was able to essentially say “yes — whatever John Carrothers is putting down here is the absolute truth — there is no way the Andrea Doria was at fault.” Captain Meurn was able to actually have programmed in this multimillion-dollar simulator — which simulates the bridge of a ship — all the events that went on that evening. He came up with a very interesting hypothesis which is actually now reality — there is no other way this could have happened. Captain Meurn felt that the Swedish American Line’s third officer — Carstens-Johannsen thought he was on a different radar reading than the one he was actually on. Back in those days they had a beacon that essentially had different scaling on the radar — 5 miles — 15 miles — Carstens-Johannsen thought he was on the 15-mile scale which would make him believe that the Doria was further away. In actuality his radar was reading on a 5-mile scale. So from that token if you backtrack, all of the decisions and all of the actions that Carstens-Johannsen made and performed and you put in your mind that he was thinking that the radar was on the 15-mile scale — that it was further away — everything lines up perfect. It was an easy mistake to do. The scales were not illuminated, you needed a little flashlight — it was an easy mistake to do especially for a young guy who was on task overload. Essentially that was the fatal error. That is 100 percent correct. Did this realization make the same kind of splash in the media that Collission Course did upon its release? Up until about ’65 John Carrothers was publishing very actively in the scientific journals and his findings did make papers like The Boston Globe and The New York Times but the public wasn’t too enthralled. They liked this beautiful story that Alvin Moscow did in Collission Course. It was really when he got the professional mariners involved, when Captain Meurn started to step up to the plate — which was probably the late ’60s — that all of a sudden the pieces started to come together. So it’s not as if once this theory came to light it immediately revolutionized the public’s perception of what happened that night. No, because it was released to scientists. And basically because of John’s personality and his disdain for the media — that’s why it never happened. John passed away in 1991 and he bequeathed me his entire collection. I’ve got his entire archives — in addition to the forensics on the Andrea Doria were forensics on things like Titanic — which were just tremendous. So it was through Bob [Meurn] then that I was able to learn more about what happened on the bridge. He would bring me to the United States Merchant Marine Academy and bring me onto the bridge of a ship and run through the scenario. And the first time I saw the whole scenario unfold I think my jaw dropped. I saw the Doria coming out of the fog. I was literally standing on what would have been the bow of the Stockholm and the amount of time to react as it came out of the fog was such a short period — I was stunned and again you’re in an auditorium where the simulator gives you an almost 300-degree vision around you with the fog and the lights and the whole bit. It just was wonderful — we officially announced the findings of that in 1996 for the 40th reunion. We had this big event where over forty survivors and their family’s came to the Academy and we showed them what the Doria looked like under water. We showed them the simulator, and some of them they were actually still physically moved, even after forty years. I had Doria survivors crying to me that for them it was closure after all these years. But this theory about Third Officer Carstens-Johannsen mistaking one radar setting for another is now considered to be fact. Exactly. Now in talking with Mr. Moscow and probably some people on the Swede’s side, they didn’t really think that. We had the head of the Swedish American Line’s law firm come in and watch the bridge simulator back in the 1990s — he watched it and he said “you know what? That sounds very plausible” but Carstens-Johannsen is still alive and he vehemently denies it. Moscow is still alive — in fact I talked to him yesterday — we are good friends even though we don’t agree. We’ve talked about the circumstances surrounding the collision — tell us about the actual sinking. This actually gets back to [renowned Doria diver] Peter Gimbel’s work. Back in the 1980s Peter led a expedition trying to figure out what was going on down there — in addition to pulling up china, he opened what we call Gimbel’s hole. He went down to the first class gift shop, blew a hole and went down through the ventilator shaft, went into the generator room and ended up coming outside right through the hull. They felt that there was talk about whether the Doria didn’t have a watertight door there and therefore the Doria sank because it was missing this watertight door. I went down and I found that the keel was breached, which rendered a lot of these watertight compartments ineffective — essentially the ship was doomed, there was nothing that could have saved that ship. Was this considered to be a design flaw on the part of the Italians? The Swedes felt that it was a design flaw as far as the Doria was concerned — as far as its stability was concerned — and felt that they should have filled the oil tanks with sea water to ballast it [keep the ship from leaning] which was ridiculous. In reality the Stockholm not only hit the Doria in the worst place that could possibly have happened — it hit it going 18 knots and smashed it to the point where the Doria heeled over 20 degrees. I have the original builder’s model of the Doria — nine feet long — you could see that if you took the ship and you tilted it 20 degrees and realizing how hard the Stockholm was coming in with a reinforced icebreaking bow, you will then see what I saw underwater which was a huge hole in the keel. I was stunned. Basically the bow of the Stockholm inflicted more damage on the Doria than was ever envisioned by anyone. Stunning, absolutely stunning! What really made the Doria remarkable was that it stayed afloat over 11 hours as opposed to Titanic, which took only two and a half hours. So you’re saying that it was actually fortunate the Doria stayed afloat as long as it did? I think it was a tremendous attribute for the building of the Doria — I thought that they just did a wonderful job. And the sister ship of the Doria — was built in the same shipyard looks almost identical too it and she lived a long life, she lived until the 1980s and she never had any problems. On July 8, 2006, David Bright collapsed and died following a dive to the Andrea Doria. He was attempting to document the damage caused by the Stockholm. This film is dedicated to his memory, and to all those who lost their lives on the Andrea Doria.